Bibliography: Bartsch 363; H. 90; Münz 13; BB. 42-5; White and Boon 363 second of two states with no foul biting, plate cut to 100 x 105 mm. ; Parke-Bernet catalog for Part 1 of Gordon W. Nowell-Usticke Collection, cat. no. 38. 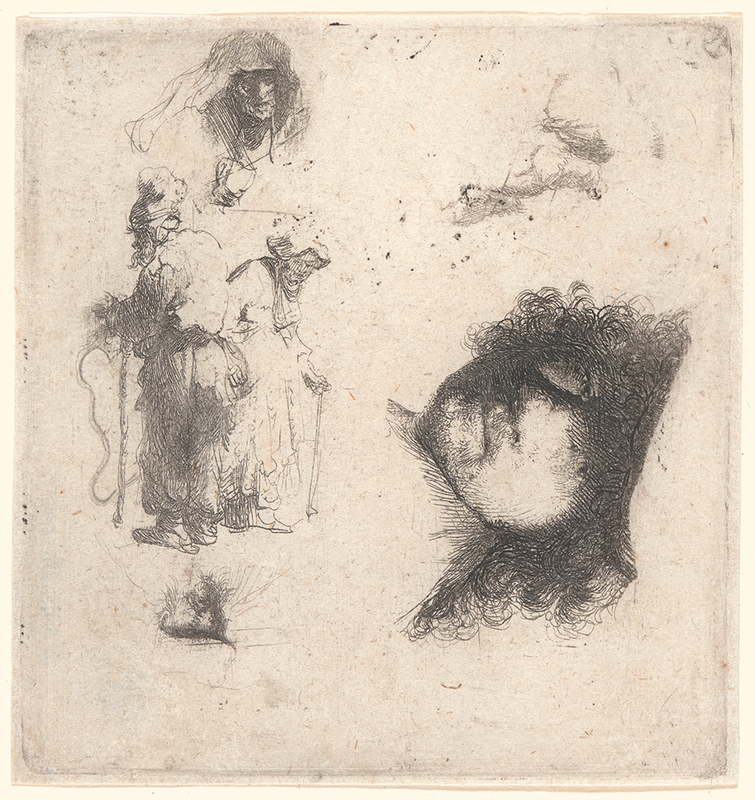 Sheet of Studies: Head of the Artist, a Beggar Couple, Heads of an Old Man and Old Woman, . Etching on white laid paper. Second of two states. Plate: 99 x 104 mm (3.9 x 4.1 in.). DAC accession number 1967.42.1. Friends of the Davison Art Center funds, 1967. Open Access Image from the Davison Art Center, Wesleyan University (photo: R. Lee). http://dac-collection.wesleyan.edu/obj12035 is a persistent link to this page with no user-session information.